2. Does not affect the normal work and life. 4. 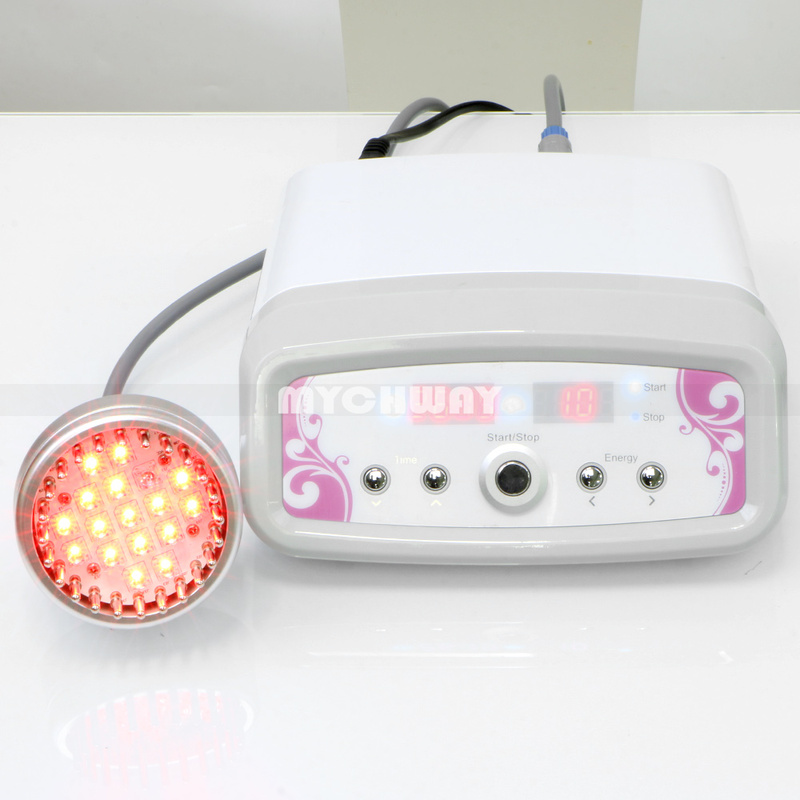 Painless treatment, comfortable physical electric microcurrent, safe and effective. The spectrum of light is especially effective for treating wounds, cuts, acupressure points or other areas close to the surface of the skin. It balances skin tone and enhances circulation, inhibiting he formation of melanin pigment, fighting acne and dermatitis, and smoothing pockmarks, scars and wrinkles. PDT machine can solve many skin issues, good for home use. Photodynamic beauty instrument, since the 1980s, some famous research institutions in the United States and Europe have started extensive research on the application of photodynamics in medical beauty. With the continuous improvement of LED technology, LED gene bio-light has been Leading the new trend in the global beauty industry. And completely subverts the traditional beauty concept, making the beauty equipment become a reality, leading a new lifestyle of self-service family beauty skin care. By producing the photochemical reaction-enzymatic reaction, increasing the content of glycogen and protein, thereby promoting cell metabolism and synthesis, rearranging the source fiber and elastic fiber, blocking and eliminating the formation of melanin, killing acne, eliminating Inflammation, in order to achieve whitening, ecchymosis, acne, wrinkle, and skin rejuvenation. PDT machine by producing the photochemical reaction to achieve whitening, ecchymosis, acne, wrinkle, and skin rejuvenation. How to make The PDT Machine treatment ? Apply a mask, and choose a suitable color light for treatment. Treatment time about 10-15 mins. 1. The optimal distance of the irradiation head from the treatment site is about 3-5 cm. If it is too close to the skin, it will reduce function. 2. When performing facial exposure, close your eyes to avoid direct light. Red and blue light does not cause damage to the eyeball and vision. However, long-term exposure may cause short-term visual color discomfort. Therefore, you can cover the eye with a blindfold or thick cotton. 3. When applying beauty treatment, such as applying serum essence and essential oil, it will increase the curative effect. 1. Skin Rejuvenation: Smooth wrinkles, fine lines, improving pigment spots and rough pores, whitening skin and treating microvascular expansion. 2. Refirming: Tighten eye bags, treating dark circles, necklines, reducing wrinkles, fine lines, enhancing and tightening the skin to restore elasticity and smooth and adjust skin dumb. 3. Freckle Remove: Freckles, chloasma, sunburn, age spots, liver spots, dermal plaques, birthmarks, and some pigmentation. 4. Wrinkle Remove: Eliminate forehead wrinkles, nasolabial fold wrinkles and smooth the wrinkles at the face, forehead, neck, waist, buttocks, legs and other parts. 5. Pimple Remove: Reduce sebum active, eliminating acne bacteria and improving oily skin. 6. Ance Remove: Knot boil type acne, comedo acne, allergic acne, acne mark, acne pit, acne rosacea. 7. To Improve The Skin: Improve skin problems including dry, oily, aging and other comprehensive problems. Does PDT Machine has any risk ? This is not a big risk for skin care. If your skin is treated, it maybe becomes red, swollen for a few days, but will recover soon.